Happy Monday friends! This weekend we headed out of the city and spent some time with Gary's parents and got to celebrate Gary's birthday one more time! I also tried to make these smashed potatoes - they didn't quite turn out how they were supposed to, but I'm going to try them again because they were still delicious!! Between these last few weeks I have picked up a few new things for spring and the deals were too good to not mention! This is my second denim jacket from H&M and the quality is always so nice for the price. I somehow lost my favorite jacket last year after wearing it non-stop throughout the spring and summer. I needed another one and opted for a lighter denim color so that it could go with more outfits! I tried on a couple of jackets from Gap, Banana Republic and Express, but the ones from H&M have a bit of stretch to them so it's more comfortable, for me at least! I stopped by Ann Taylor on Friday during lunch and scooped up two light weight long sleeved shirts. They were already on sale then an extra 60% off! This striped ruffle shirt is so cute and again can be paired with so much in my closet! This cerulean blue (anyone get the Devil Wears reference?!) 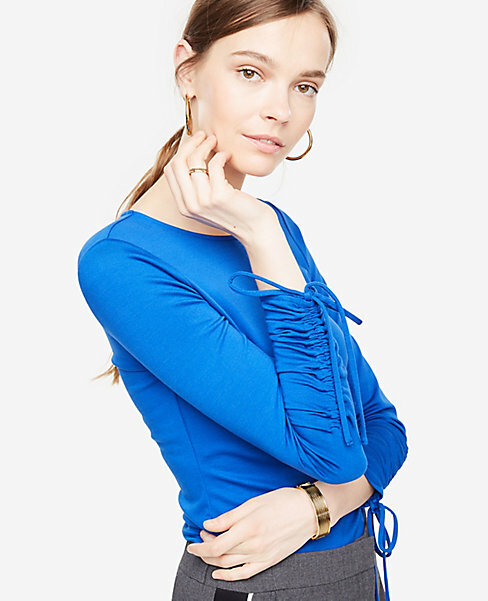 ruched tie top was a color I didn't have in my closet and I think it's the pretty color! It also comes in black! I was on the hunt for a drug store concealer and have heard amazing things about the age rewind concealer from Maybelline for years now and decided to give it a try!! I'm loving the coverage and also the sponge applicator. I still use my beauty blender to smooth everything in, but the application is really easy with the sponge. I use the color "light" and it's perfect for brightening up my dark under eye circles. I haven't worn these out yet because the weather hasn't cooperated, but I can't wait to wear these with white denim in the spring and summer! They come in 7 different colors and for $14 I'm probably going to get a couple more colors! I'm in shock that February flew by as fast as it did considering how long January felt!! March is always an exciting month so I'm ready for it! Hope you have a great start to the week! So many fun finds! Denim jackets are my favorite for spring and summer also!! And how cute are those espadrilles?! Love them!! Those espadrilles! WOW, what a price, I’m on it, lol. 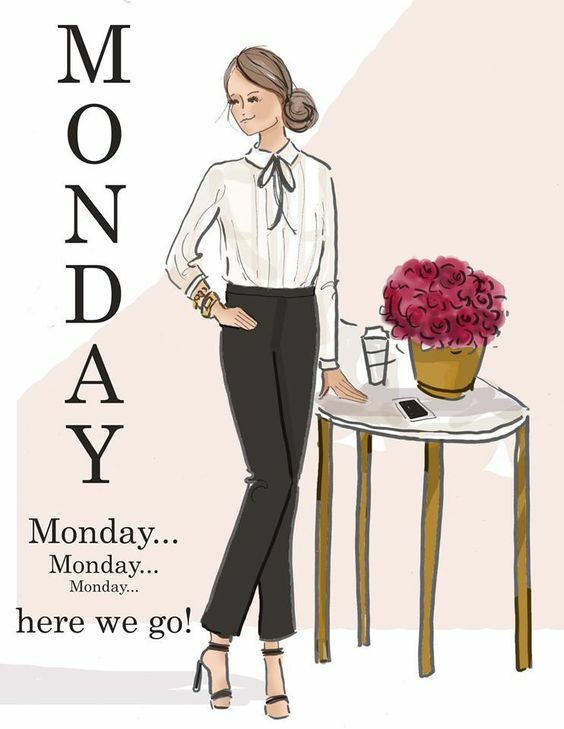 Have a super start to your week beautiful! Wow, are these rockstud espadrilles a great dupe for the Valentino ones! I've been eyeing the Valentino version on Nordstrom for awhile, but would never pay the price. I will definitely have to check these out! Happy Monday, Biana! Ok I NEED those rockstud espadrilles! They are so adorable and what a great dupe for the Valentinos! Also love both tops you purchased--the blue is so pretty! Cute picks! I love the shoes, they are so cute. Isn't it funny how January draaaags and February is over before we know it? Cray! These purchases are so cute - can't wait to see you rock them! Love your recent purchases! Those shoes are adorable! I love your tops from Ann Taylor! Our local one closed down so now I'm left looking online at their clothes. Have a great Monday! I have that Maybelline Age Rewind and I LOVE it! I've made those potatoes before too and they didn't turn out exactly the same but they were soooo good it didn't matter!! I love that jean jacket! I really need a new denim jacket. That one is super cute! We love The Pioneer Woman's Smashed Potato recipe! um those shoes are SO cute and perfect for spring. look super comfy too! and that jacket looks great - i have two and i hope i never lose them bc i love how soft they are! one is from j.crew and somehow it's not stiff. go figure - i lucked out ha. happy monday! I hear such good things about that concealer. I need to pick it up for these mom circles. Hope your week is off to a great start! I am on the hunt for good under eye concealer. I always used garnier but cant find it lately & even Amazon is out of it. WHAT??? I had tried that concealer and it didn't work well for me. I think it was because I didn't get the correct color. Those shoes are too cute. I hope you get to wear them soon. Here's to hoping that spring weather is just around the corner. I love that ruffle top you got - it is so cute!!! Such a sweet little detail! Also, I have only heard good things about that concealer and you have made me want to try it even more! Looks like you got some great stuff! 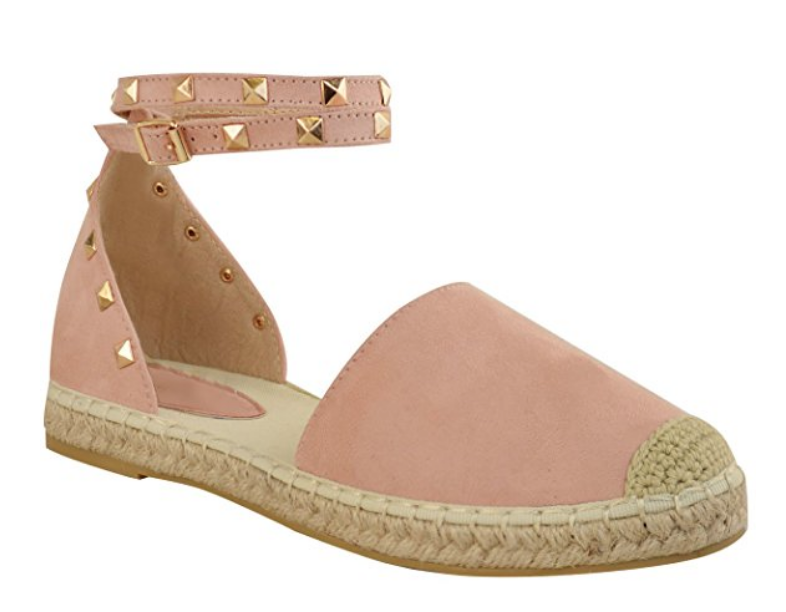 Love the pink espadrilles! Okay I totally love that ruffle top and laughed at your Devil Wears Prada reference, I love that movie. Also, those rockstud flats are only $14??!?!? I think I need them! Those little drawing are just the cutest. I recently learned about her work. Do you purchase them for use or ask permission and then say "via" underneath, or just use them with "via"? That blouse with the ruffles is adorable. I've been using that Maybelline concealer for years and love it (although I just received a new product in an Ipsy box I'm going to share soon that may cause me to give it the boot) Anyway, the brightener shade is wonderful for under eyes. I used light for a long time before I found the brightener and liked it even better. Have a wonderful week!!! I will have to check out H&M jacket because I am in need of a new denim one. I am wanting something lighter as well, as my current ON one is about 7 years old and darker haha. I like something with a stretch so I can move around. Especially lifting a kid up and down. 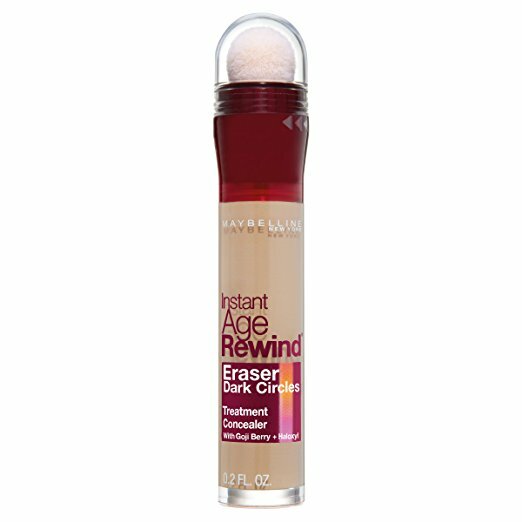 I love the age rewind concealer! I have the pink tinted one and it does a pretty good job for the price! Better than most high end ones I have tried. Hope you have a great week! Those shoes are SO cute! I’ve never owned a denim jacket but every year I swear I’m going to bite the bullet and buy one! Loving your Ann Taylor buys! Hmmm I haven't tried smash potatoes yet, but I have a feeling they are hard to get right the first time for everyone. Love those shoes, they will be perfect with white denim. I don't know what I would do if I lost my denim jacket! Glad you found another one that you like. That's so hard to do! Love all these cute pieces! I've had my denim jacket from H&M for 5+ years and I love it. I always want to get another one but I really always grab that one. They have the best ones! Happy Monday gf! Pretty sure I NEED those espadrilles, they are calling my name. So cute! I love all the pieces you got! I've never tried on any of the denim jackets from H&M before, I'll have to now that you've mentioned it. The one I have is from GAP and there's hardly any stretch. I could actually use a little extra room in. It was on major sale and a size smaller than I typically wear, but still fit, so I got it, lol. I can use one that has more room. When Ann Taylor has sales, they have sales! I've scored so many amazing pieces on sale from them over the years, but I haven't stopped by in quite some time. I really love both the tops you've got, especially the first one. The different color stripes and the ruffle detail on the sleeve make it something extra special for spring! I've used that concealer for quite some time and love the sponge applicator, too. It makes such a difference to the way it's applied and it doesn't crease much either. 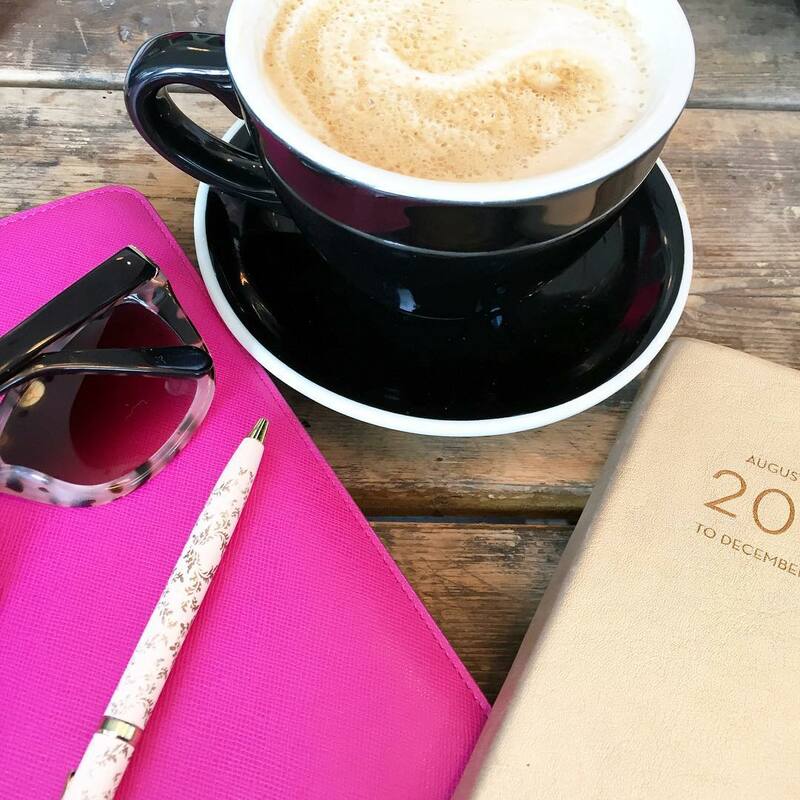 Thanks for sharing, gorgeous girlie, and I hope you have a great week ahead! Ohhh I love that jacket! Ive been looking for a good over sized denim jacket! I need to check this one out! H&M never lets me down, and that denim jacket is just divine! Don't you love it when you find those classic finds that you know you'll keep forever?! Great picks! H&M has had so many great things lately! That denim jacket is such a good find! Those espadrilles are so cute! I love the colors and the stud detailing too! It sounds like you had a great weekend spent with family and hopefully your week is off to a good start! I really like those shirts from Ann Taylor. Very, very cute. I used to use the Age Rewind and loved it! Great choice! So glad you guys got out to celebrate again. So much fun! I just bought a new denim jacket too, they go with nearly everything in the spring and summer! I'm also really excited about march, it's like the wind up to such a fun time of year! This looks like a great purchases list! You are ready for everything. Can't wait to see your next purchase. Those shoes are gorgeous! Bonus: price on point! I'm obsessed with that age rewind concealer, too. I've used it for a couple of years, and I can't find anything I've ever liked more. 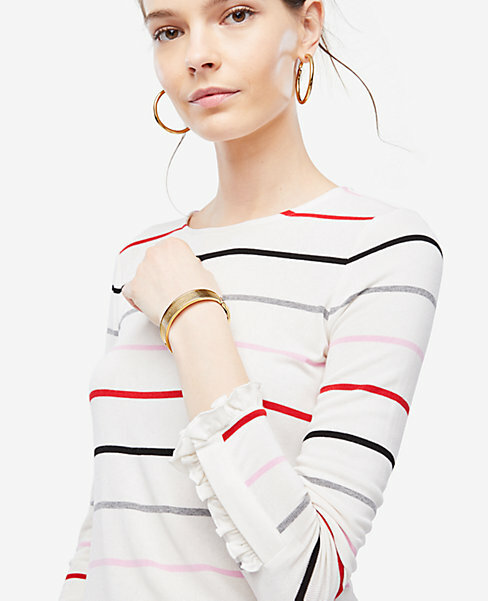 Also, the sleeves on both of those Ann Taylor tops are so cute! Have a great week! I just bought that concealer too. Love the espadrilles! 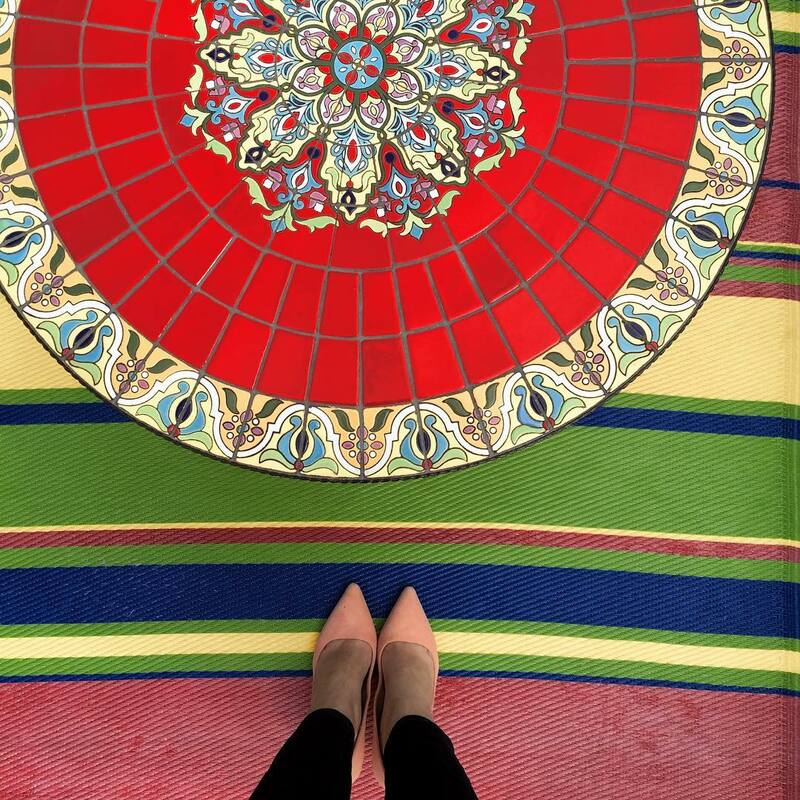 Catching up on blog posts and I’m so glad you posted those flats!! I just added them to my cart and can’t wait to see how you style them! That striped top is adorable! Love the colors and the ruffle detail! !